Steam has often been described as the 'lifeblood' of industry. It is the medium by which heat from a boiler is converted into an easily transportable form that can provide diverse services from office heating to the mechanical energy that drives turbine generators. Steam is still one of the most popular methods of providing an energy source to a process and its associated operations. 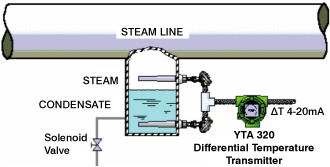 The true cost of generating steam varies from installation to installation, depending on how effectively the generation set is optimized and the efficiency of transporting the steam throughout the operation. It is now a well-accepted fact that measuring energy consumption is an important ingredient in the quest to improve energy efficiency. Efficient and accurate metering is vital to ensure that excessive consumption can be detected, along with an accurate picture of where the steam is being used, to enable cross-departmental energy charging to be applied. A sound energy management policy can only have a positive effect on the Enterprise's 'bottom line' profitability. The rationale for regarding steam monitoring and control as a process is just as valid as monitoring and controlling other parts of the manufacturing process. The more accurate and reliable measurements that are made, the more informed decisions can be taken that affect costs and product quality. The enclosed information is intended to highlight a few areas where for a relatively modest investment; improved efficiencies can be gained quite quickly. 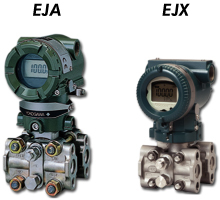 Still by far the most common method of steam metering is the traditional orifice and differential pressure transmitter technique. The main areas of concern with this type of measurement are the orifice plates susceptibility to wear introducing immediate inaccuracies, the relatively high pressure losses introduced into the system by the orifice plate and the small (typically 3:1) measuring range. The other major issue with this approach is the number of potential emission points, which could be as high as 30 depending on the configuration adopted. Another significant area of potential inaccuracy is the d/p transmitter itself. Even most so called smart d/p transmitters still utilize analogue sensing systems. The primary analogue sensor is very susceptible to drift caused by static pressures and high temperatures. These factors, coupled with the inaccuracies evident at low measuring ranges, can cause the overall performance of the metering installation to be highly suspect. The performance of the transmitter can be improved by considering the Yokogawa DPharp series of transmitters. This series of 'digital' sensor transmitters have been extensively performance tested on numerous fiscal installations worldwide and have proven to be the most accurate and maintenance free transmitters available in the market today. 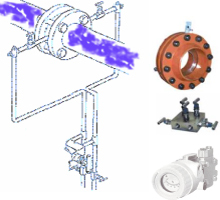 Another approach to steam metering is to consider the use of a vortex shedding flowmeter. The Yokogawa YEWFLO vortex flowmeter has been installed successfully in thousands of steam metering installations worldwide for over 30 years. The volumetric accuracy of the YEWFLO is better than 1% of reading as opposed to 3-5% of full-scale when compared with the orifice method. Low pressure losses, only two connections to the process and high reliability coupled with zero maintenance are just some of the reasons why this meter has been applied in such numbers worldwide. The meter is available in line sizes from DN15 to DN400 with operating temperatures up to 400°C. A SIRA/WIB report is available upon request. The majority of steam metering is still volumetric. With the output of the boiler measured in tonnes/kg/lbs per hour, any change in line pressure through demand can cause significant errors in inferred mass steam calculations on a volumetric measurement. For example, a 0.5bar change in line pressure at 10bar operating pressure will cause a 5% error in mass flow accuracy. The installation of a 'steam computer' along with pressure and/or temperature measurements (depending on whether you have saturated or superheated steam) can remove the errors caused by line pressure fluctuations. Applications can be as diverse as condensate differential temperature control through to simple line pressure monitoring. A comprehensive range of pressure and temperature instruments can be supplied to give an accurate and reliable picture of what is happening in the system. 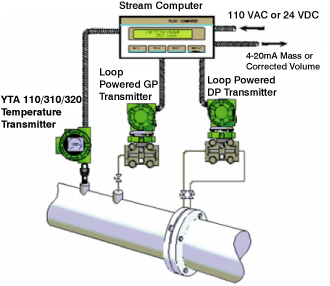 Fuel oil metering is traditionally the domain of mechanical type flowmeters. Mechanical flowmeters can be highly prone to problems of a blockage nature or simple mechanical wear and tear due to contaminants in the system. The mechanical meters also introduce a high-pressure loss in the system, which in turn can increase the transportation costs. The ADMAG AXF electromagnetic flowmeter can be applied on all conductive fluids over 1uS/cm conductivity. The meter has virtually no pressure losses with its full bore design and has one of the widest dynamic flow ranges of any flowmeter available today. The high accuracy of 0.35%(0.2% as option) of reading coupled with its zero maintenance requirements make the ADMAG AXF a sensible alternative to more traditional mechanical type meters. It is of critical importance that the water passing through the boiler is highly conditioned so as not to lay down deposits or to cause corrosion. Both conditions will damage pipes, valves and heat exchangers that will inevitably require replacement, a time consuming and expensive task in itself, not to mention the knock on costs of losing steam. Conductivity and pH measurements are the watchdogs of the steam circuit; together they monitor the level of impurities and control the addition of conditioning chemicals. 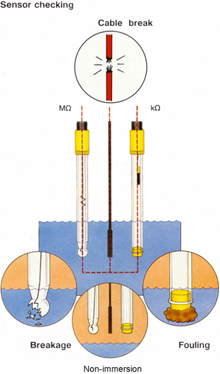 Conductivity measurement monitors the amount of solids dissolved within the water. Typical boiler feed water contains less than 0.2 parts per million which translates into a conductivity value of around 0.055uS/cm. Measurement of this high purity water is complicated by a very large (up to 15% per °C) and non linear temperature effect. This must be compensated, otherwise any measurement made is meaningless. Yokogawa conductivity systems have been designed with these conditions in mind. Large area sensors are used to optimize sensitivity and matrix temperature compensation accurately mirrors the non linear characteristicsof ultra pure water. It is a little known fact, that a coated or polarized conductivity sensor produces a reading that is lower than reality. In other words the conductivity meter reports that the water quality is within the required tolerance levels when it is not. Yokogawa systems use diagnostic checks that can detect breakage, non-immersion, fouling, polarization and cable problems. The conductivity measurement 'monitors' the water quality, Yokogawa high performance meters offer the accurate measurement, backed up by comprehensive diagnostic systems. Correct treatment of the boiler feedwater is a vital function in minimizing potential damage to the boiler hardware. The primary function used to accomplish correct treatment, is the control of the pH value of the feedwater to within a narrow band. The graph below shows that the lowest rates of boiler corrosion occur at around pH10, with corrosion effects increasing if the pH value of the water becomes acid or alkali. The measurement of pH in ultra pure water can be difficult to achieve, due to reference junction instability, glass electrode response, sensitivity to electrical noise and the effects of process temperature. Careful choice of electrodes such as low ohmic glass and positive pressure reference combined with stainless steel holders can eliminate these effects. In order to provide the best performance Yokogawa Exa transmitters utilize noise rejecting differential amplification, which also facilitates the comprehensive diagnostics. The diagnostics can detect broken glass, fouled electrodes, non-immersion and cable problems. Not only will any failure be immediately brought to the operator's attention; the electrode life can also be calculated. This means that maintenance can be planned to occur before any failure and prevent un-scheduled call outs. Precise oxygen measurement is critical for boiler combustion control. To achieve optimum combustion efficiency and reduce emissions, the ratio of fuel to air is very critical. Too much oxygen causes thermal losses through the exhaust stack, whereas too little oxygen produces unacceptable stack emissions. Customers applying our EXA series of Zirconia Oxygen Analysers report extended calibration lifetimes due to the unique robust sensor design. In addition, field sensor replacement times have been reduced to only 30mins instead of the usual 2-3 hours, obviously a great saving of maintenance time and effort. Another benefit of making improved quality measurements around the boiler process, is that more efficient and meaningful information can be recorded along with improved optimization of the control system. Recording can consist of simple paper based recorders, paperless recorders that store the results on computer media or comprehensive data acquisition systems with full monitoring and logging capability. Many different types of approach to more optimized control can be applied, ranging from the single loop approach to a distributed control system based around Microsoft Windows. The real answer to executing a successful control strategy is to fully define what exactly is required. Yokogawa can offer consultancy and advice in this area. Since bringing the world's first FOUNDATION fieldbus™ -enabled filed device to market, Yokogawa has developed a range of FOUNDATION fieldbus™ -enabled products. Our current product lineup is shown as follows. With each model, Link Active Scheduler (LAS) functionality and a PID block(s) are available as options. Many models have explosion-proof or intrinsically safe construction. The CENTUM CS 3000 R3 and STARDOM controllers with the FOUNDATION fieldbus™ interface seamlessly interconnects with these devices and monitors data in real time.